The folks at Smarthome have been doing the home automation thing since 1992, so they know a thing or two about the subject. 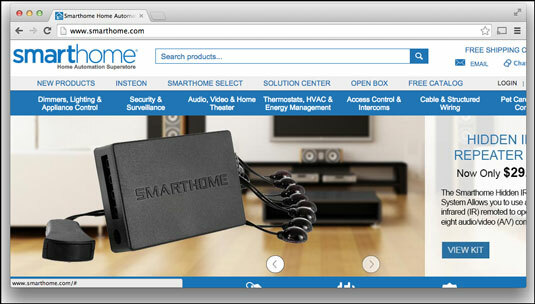 Their website has been a home automation staple on the Internet since 1995. Smarthome.com really wants to be your one-stop online shop for all things home automation; its range of product choices is impressive. However, there is one potential sticking point: Smarthome.com is owned by SmartLabs, Inc., which manufactures its own line of home automation products. 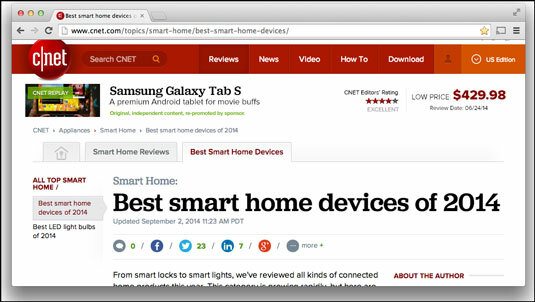 If you’re a tech-savvy person, CNET may already be a site that you check out on a frequent basis. Everyone knows that CNET is a great place to go for reviews on software and computing, smartphones, and other tech devices, but it’s only been relatively recent that most folks have started thinking of their homes as part of their tech lives. A visit to CNET’s Smart Home site is prescribed for anyone who wants the lowdown on the latest and greatest home automation devices. Click the Best Smart Home Devices tab on the site. CNET excels in its video reviews. The video reviews are great because they give you a sense of seeing the product in action — an almost hands-on approach to investigating a product. The stated mission of CEA is to grow the consumer electronics market, and since home automation definitely fits within the consumer electronics spectrum CEA is very much interested in its comings and goings. 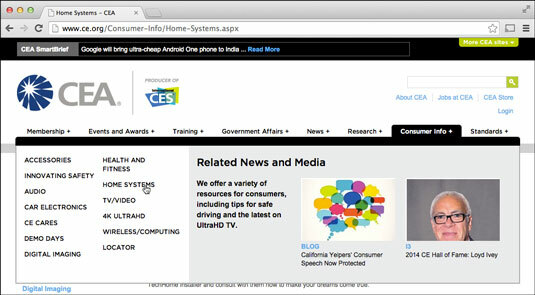 CEA deals with both the companies that produce electronics devices and the folks who consume them. Since this is the case, you can trust the CEA to look out for the interests of both parties. As consumers, you’re mainly interested in what CEA can do for you in that respect. You can easily navigate to the home automation content by holding your mouse pointer over the Consumer Info tab on the home page and selecting Home Systems from the list of items. CEA’s Home Systems web page provides several great videos for helping you gain an understanding of home automation systems and what you can do to enhance your home. You can download the SmartThings app, which is quite nice for running your home automation environment. Shop the entire lineup of SmartThings products, including the popular Home Starter Kits. Share your experiences with SmartThings devices and gain knowledge from other SmartThings aficionados in the Community section. 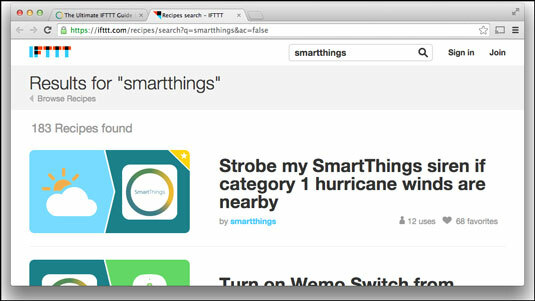 Download SmartThings developers tools and documentation, if you’re of the geeky persuasion. The SmartThings blog is jam-packed with information on how to use your SmartThings devices, understanding technologies that will make your foray into home automation more productive (such as learning about wireless network repeaters and range), and more. Amazon has quite a nice site dedicated to home automation and relevant products. Amazon probably does the topic as much justice as anyone else on the web. First of all, it’s Amazon, so the product selection is out of this world when it comes to shopping for home automation devices. Amazon doesn’t just carry devices for one company; it carries devices for all of them! And the prices at Amazon are just plain tough to beat, as you probably already know. Secondly, Amazon does a great job of educating its customers when it comes to learning not only the technologies behind home automation, but also understanding what options are available when it comes to specific home automation tasks. The Home Automation Resources & Buying Guides section is a great place to go for comparing solutions and devices. The Communication Protocols guide, shown, is by itself worth the price of admission (if there were one, that is). Home Controls is a company that’s been in the home automation business for a long time: 25 years, to be exact! These folks know more than a thing or two about the subject, and they’re more than willing to share their knowledge with you (and sell you some home automation goodies at the same time). Home Controls also offers Inside A Smart Home, which gives the layout of a typical smart home and all the wonder it can behold. 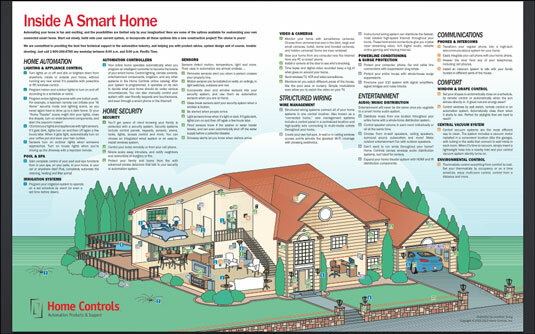 It’s a really neat document that lists major areas of home automation, labels, and locations in the home that are affected by them, and gives an explanation of how technologies can benefit you. This nifty diagram makes the concept of home automation and what one can accomplish with it a visible ­reality. There are sites that are dedicated to informing the public and developers alike on the merits of specific protocols. 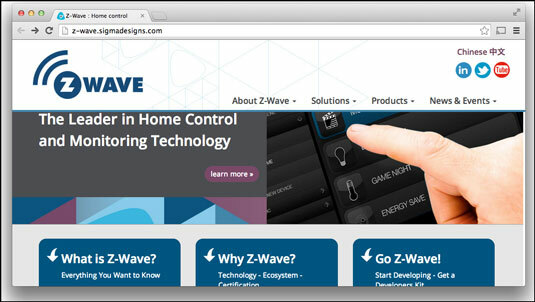 Z-Wave.com is one such site, and as its name implies, it is solely dedicated to all things Z-Wave. 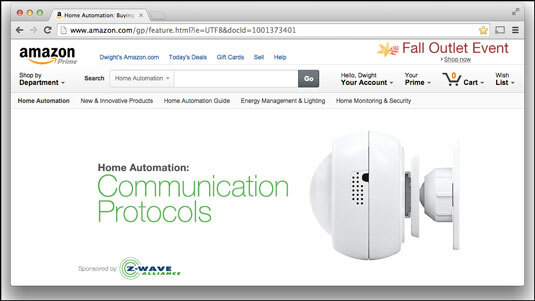 Z-Wave is a popular protocol, as evidenced by the number of companies that are implementing its technology into their home automation products. Companies such as ADT, Ingersoll Rand, Bosch, Honeywell, LG Electronics, Verizon, and literally scads of others are all on the Z-Wave bandwagon. Z-Wave.com is a great jumping-off point for people interested in learning more about the protocol, products it supports, and how you can incorporate it into your home automation environment. The site explains what Z-Wave is and how it works, and offers product videos to help you determine the best fits for your home. ZigBee Alliance is certainly aimed at those interested in the more technical aspects of home automation, and is focused with laserlike precision on the implementation of the ZigBee protocols’ standards. Check out the links on the left side of the page. 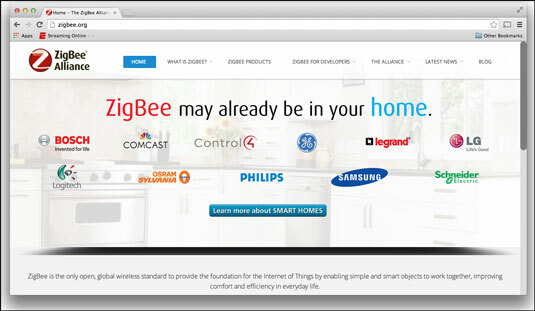 These links provide a mountain of information about ZigBee. ZigBee standards cover much more than just simple home automation. ZigBee standards have been developed for many other markets, too, such as commercial building systems, remote controls, health care monitoring, and more. 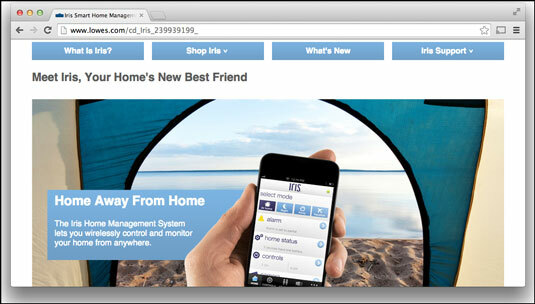 Lowes has just recently launched Iris, which is the company’s proprietary Home Management System. Iris is Lowes’ offering to help DIY home automators control their homes with a smart hub and app from anywhere they may happen to be. Lowes does offer some non-Iris-related products, but the majority of them are centered around it. Aside from learning about Iris and how it works to join your home automation tasks under one controlling app and hub, there’s not much in the way of basic home automation technology explanations or tips. The Home Depot site offers a great selection of items that fit within the Wink family of home automation products, and they cover the gamut of features you use in your home. Scroll down the page to find the Home Automation Education section, which has some good information to complement the knowledge you’re already gaining from this tome. 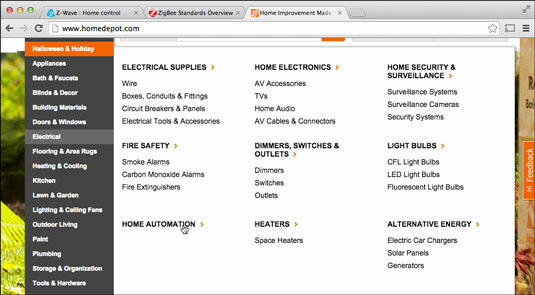 Don’t be confused that the Home Depot site labels devices as Wink-compatible. This doesn’t mean they won’t work with other home automation devices or smart hubs; most of them certainly will, such as the Philips Hue light bulbs, the Schlage Touchscreen Deadbolt, and more.